Need a vacation but donâ€™t want to stay around home town? Want to go somewhere warm and exotic, some place different? Want to fly but worried about the price of airfare? Sourcing the cheapest airfares around has been made easier with competition growing between travel agencies and as people are beginning realize that a Caribbean vacation is not that expensive. Airfare can be an obstacle to the best of vacation plans. With so many travel companies vying for your business, securing a cheaper airfare is at your advantage. The airline companies set their airfare price, with travel agencies just a little higher than wholesale price. All advertised airfare; whether itâ€™s online or over the phone does not contain any government taxes or duties so extra charges such as these will need to be added into your airfare budget. The kind of airline class you opt for â€“ do you want comfort? Then you are going pay more or you can just settle for economy class which is much cheaper. The location of your seat â€“ window or inside seat can also influence your airfare. The time and day on which you want to trave. How near you book to your departure date â€“ booking nearer to your departure date may boost your airfare big time. Especially if destination youâ€™re traveling to is in high season, itâ€™s always wise to book your flight in advance. Although there airlines which gives last minutes deals. 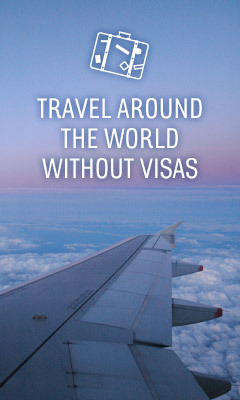 Whether your airfare is part of an all inclusive holiday package. More often than not for these all inclusive holiday packages, the airfare has been given with a massive discount as a contract between the hotel or resort, the airline and the travel agent. Therefore, if you want to save money, you should explore the different airfare that fits within you budget. Search for a cheap airfare can be a difficult job, especially if you have no idea how to help minimize your airfare price. You can make use of the internet, as last minute deal websites are being developed and there are some great bargains, but be careful these last minute deals because they can end up leaving you behind. Flight arrangements to Dominica from Canada and I get the feeling from the States as well for same day travel is difficult. It takes me many searches before booking and has proven for me and I have read for others, at times, to be unreliable. However, if you love vacationing in Dominica, as I do, it is a small price to pay for a very special destination.I am hoping to return this winter and so far have found a route from Canada/San Juan/Dominica and return from Dominica/Antigua/Canada but it is to early to book yet!! I have been considering the option of a overnight stay on another Island, for ease and peace of mind, but truly do not want to do this as Dominica is my choice for valuable vacation time.